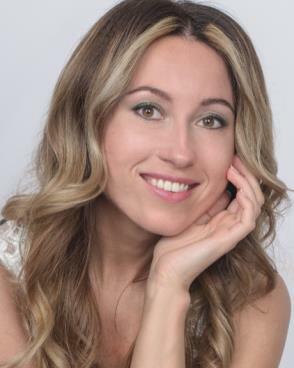 Are you still sitting on sidelines thinking you can meet a nice Slavic woman through a pay-per-letter dating site? 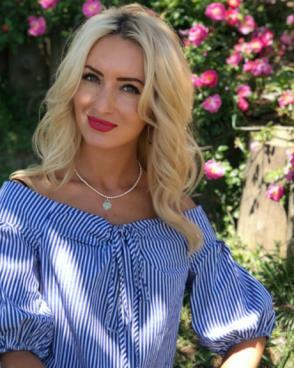 Let me give you an update on what’s happening in the amusing world of PPL dating today, and review some of the most hilarious ads of marriage agencies in Ukraine. 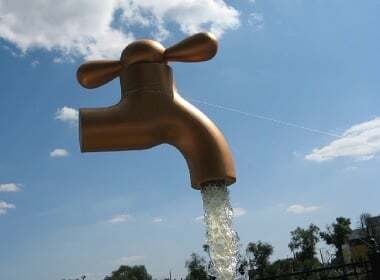 See the picture of the water source out of nowhere on the left? This is very close to what some of unscrupulous marriage agency operators manage to get away with in Ukraine. Let me show you a candid way of making money out of thin air. 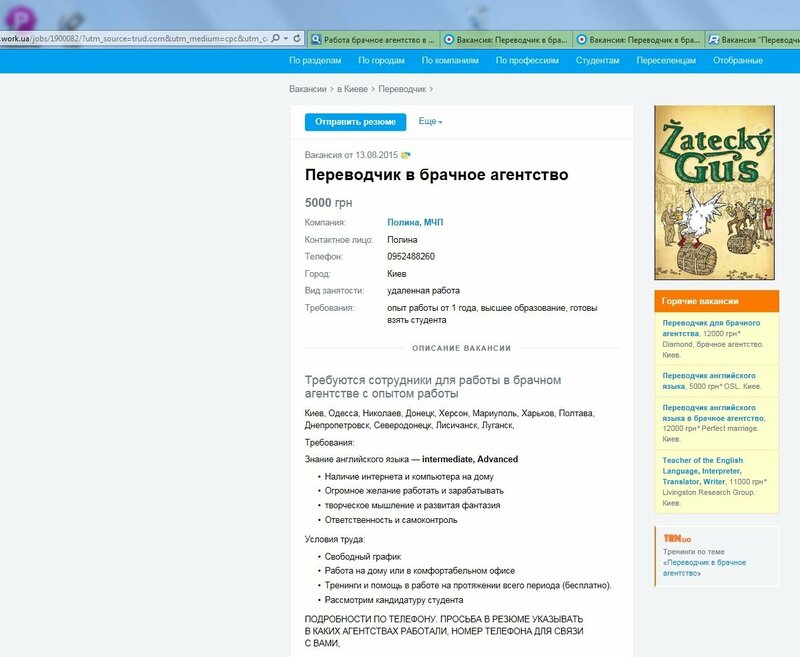 When I wrote the article about pay-per-letter dating sites for Ukrainian women in April 2015, I included some job offers from marriage agencies there. These ads would be hilarious if they weren’t so absurd. Another thing, which is barely funny, is that with the level of unemployment in Ukraine today many people see it as a viable option. 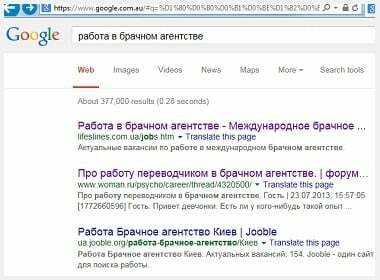 Let’s see what we can find on Google searching for the key phrase “work in a marriage agency” (“работа в брачном агентстве”). In reality, with low percentages paid by marriage agency owners to employees, unless a person is spending nights typing letters and chats, they will not be able to earn more than $300/month, claim disillusioned letter-writers in forums. The income promised by the ads is potentially achievable only for 1-2% of top earners. However, the lack of real jobs make these offers sound reasonable, with some people using PPL commissions to complement their income from day vocations. Are letter-writers happy? Most of them despise their ethically challenged jobs, but continue typing on behalf of pretty girls in photos because of financial needs. 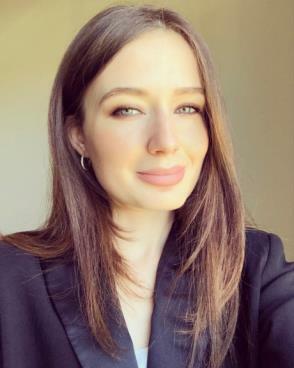 Not many last for a long time with long night shifts required to earn enough to at least pay for groceries, and this is why marriage agencies need a continuous stream of new typing slaves. According to forums, letter-writers earn about $0.25-0.50 per mail, and about $2-4 per hour of chat. The best earners are promised to be given the most profitable profiles (i.e. 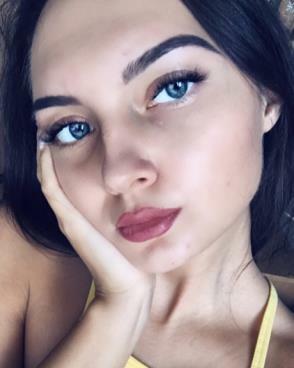 chat on behalf of pretty and popular girls, who already have multiple suitors). However, it’s not uncommon for letter-writers to be scammed out of their earnings, because they have to rely on decency of marriage agency owners, who have set up the scheme (which will be quite astounding, no doubt). What kind of jobs in marriage agencies are available in Ukraine through job portals today? Let’s see. 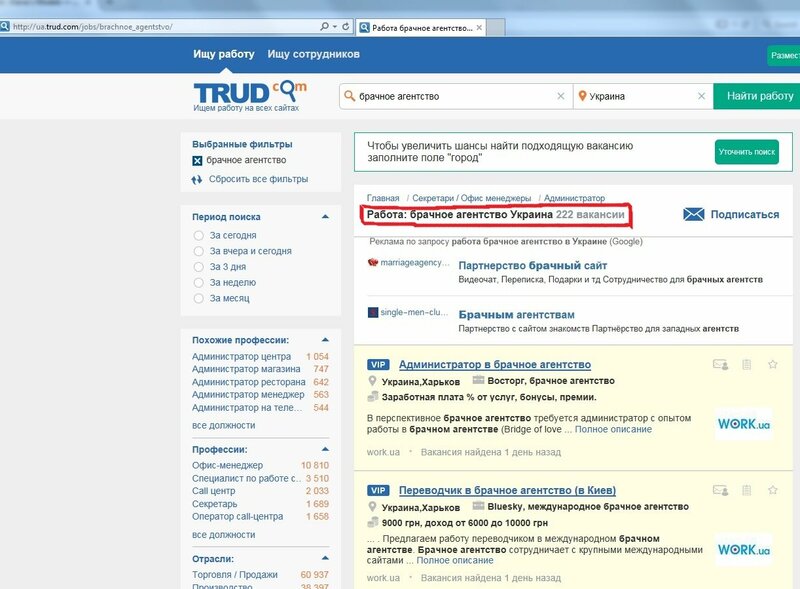 In translation from Russian “Trud” means “labor”. The website of Trud.com lists its own job ads, as well as collects vacancies from other employment portals. 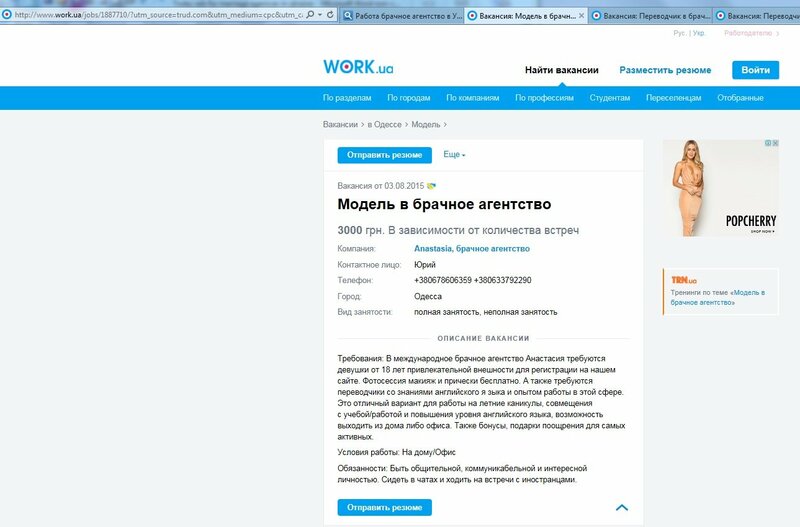 We have discovered 222 job vacancies for marriage agencies in Ukraine, mostly seeking translators, as well as “photo models”. “Photo models” are promised passive income streams in exchange to allowing their photos to be used on pay-per-letter dating sites. The income would come from gifts that men order to be delivered (usually flowers, candies, or teddy bears, which women actually have no need for), and instead of gift deliveries the value would be paid to “models” in cash. “Translators” are required to manage communication with suitors instead of “photo models”. Translators are also paid a small percentage from gifts sent by men, but their main income is a percentage of sales, obtained by the marriage agency from sending mails and pay-per-minute conversations with men in chats. 1 translator is assigned 1 profile on a site to operate. However, the same translator may be assigned profiles of 2 different girls on 2 different PPL sites, depending on which profiles are approved from the local marriage agency’s database. Different agencies pay varied commissions to letter-writers. Often ads offering higher share turn out to be scams, with owners of the agencies never actually paying anything for the hours translators chatted and spent on letter-writing. New “translators” are easy to find, since no knowledge of English is actually required, some ads claim, and the use of online translators is encouraged. Other ads demand at least 1 year experience in letter-writing for marriage agencies. Vacancy: Photo Model for a Marriage Agency (click to enlarge). Unmarried women of attractive appearance 18-40 years old are required for a foreign marriage agency (countries of post-USSR cannot access listings on the site). Instead of you translators will be corresponding with men. When a man makes you a gift — the agency will pay you money instead of the gift. It is also possible to have meetings with men in restaurants + shopping on his account, all meetings are only with our translators! Send your applications to the email address below. With your email include your beautiful photos, a photo of the first and second page of your passport (to check if you are already a member of marriage agencies), your full name, age, height, measurements, city, and the mobile phone number. If you are afraid that your data could be used without your knowledge, I inform you that to register you we need to shoot a video greeting with you and sign an agreement. The photo of the passport could be made from a copy machine or crossing it over in Photoshop and writing the word “Copy” (we only need your data for checking). Vacancy: Model for a marriage agency (click to enlarge). 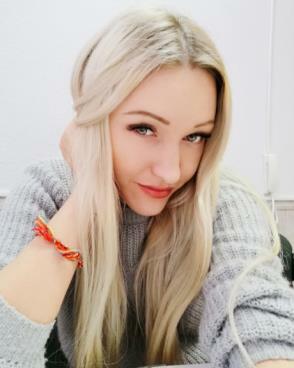 Description: International marriage agency Anastasia requires girls from 18 years old of attractive appearance for registration on our site. Photo session, makeup, and hairstyling free of charge. We also require translators with knowledge of English and experience of work in this sphere. It is an excellent variant of job during summer holidays, combining it with studies/work, and improving your English level, ability to get out of home or office. Also bonuses, gifts for the most active. Responsibilities: Be sociable, communicable, and an interesting personality. Sit in chats and go to meetings with foreigners. Vacancy: Translator for a marriage agency (click to enlarge). Employees with experience of working in a marriage agency are required. Details by phone. Please include the names of agencies that you have worked for in your CV and a phone number to connect with you. Marriage agency LaVile opened a vacancy for the position of “Translator”. Translators with or without experience of work (training provided), knowledge of English is welcome. Working in chats and letters. Hours of work 7-8 hours a day when it’s convenient for you, night or day. Work 6 days a week, Sunday is a day off. Your salary depends on yourself. You receive a percentage from the income. The money calculations are in dollars, you will be paid in hryvnia according to the exchange rate at the moment of payment. 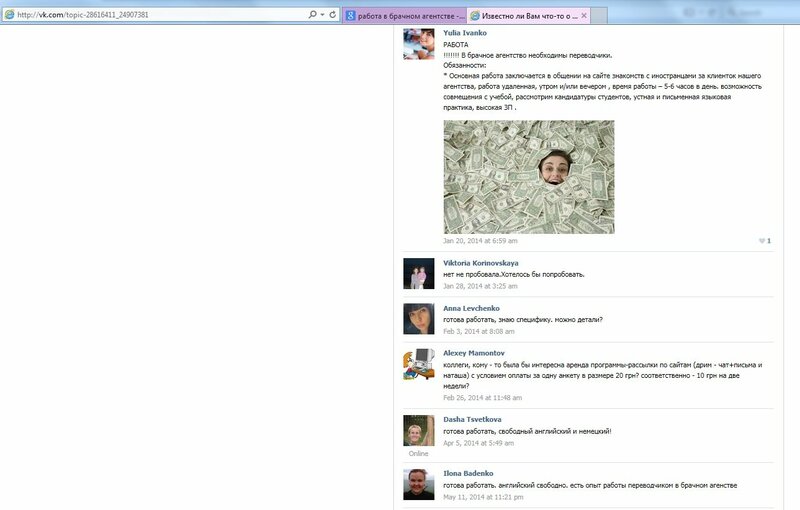 If you work correctly, you can receive from 5 to 20 thousand hryvnia per month. With that you work at home and don’t invest anything, except for your fantasy and a little bit of time. Also! In perspective you may advance in your career. Our agency works for a relatively short time, and we are planning not to stop and constantly employ new people, and with time every translator can become an administrator. Vacancy: Translator for a marriage agency (Kiev) — click to enlarge. Office in the centre of Kiev. Offering a job of a translator in an international marriage agency. The marriage agency cooperates with large international dating sites. Trial period and training will be in a time convenient to you in the office or online. Leading correspondence and chats, preparing presentation letters in the name of girls based on their questionnaires and data. If desired and able to, synchronized translation. Experience of working in marriage agencies is welcome. Activity in work is always rewarded! We are looking for hardworking and responsible employees, who are ready to earn well. Will be glad to cooperate! Looking forward to your responses! 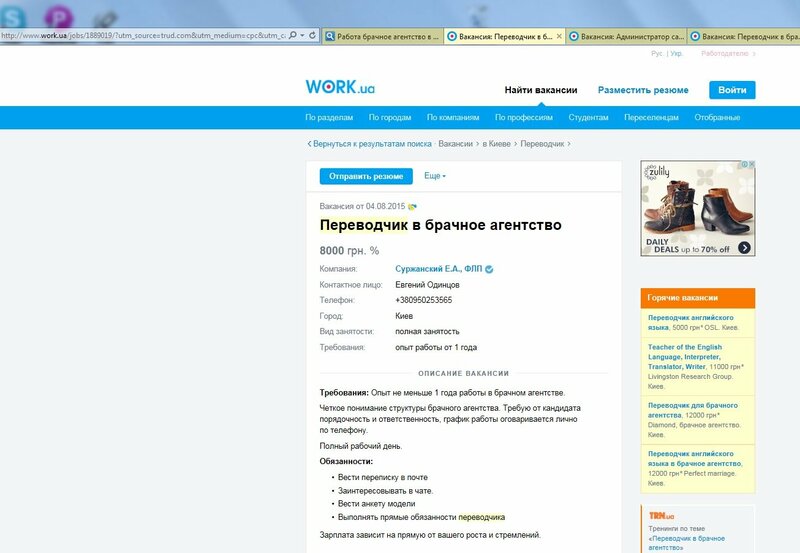 Vacancy: Translator for a marriage agency at Work.ua (click to enlarge). 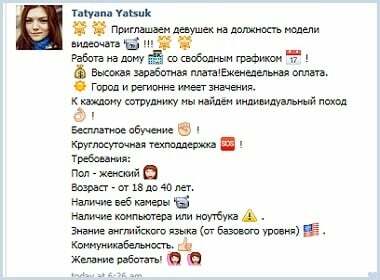 Requirements: Marriage agency «Kasta Agency» invites girls 18-45 years old for cooperation. Working with correspondence. Working in video chat. There is a variant of passive income as a model. Required: Experience of working not less than 1 year for a marriage agency. Clear understanding of the structure of a marriage agency. Require integrity and responsibly from candidates, work hours are discussed personally by phone. The salary depends directly on your growth and aspirations. Vacancy: Translator in a marriage agency — click to enlarge. Urgently require translators of English language for permanent work to help our clients in leading electronic communication. Work on site Charmingdate. Experience of work in marriage agencies is welcome! Conditions of work: remove work. (You need Skype to communicate with the office) 5 working 2 days off, your choice. Work 4-8 hours, but it can be divided in 2 parts, 2-4 hours in the morning, 2-4 hours in the evening or at night. Leading grammatically correct correspondence; — creativity; writing FROM the name of the female client. We are ready to offer: decent payment for work, training, bonuses to best workers, and also guaranteed payments. We are seeking only people who seriously intend to work. If you are not sure or simply want to try, please do not disturb! 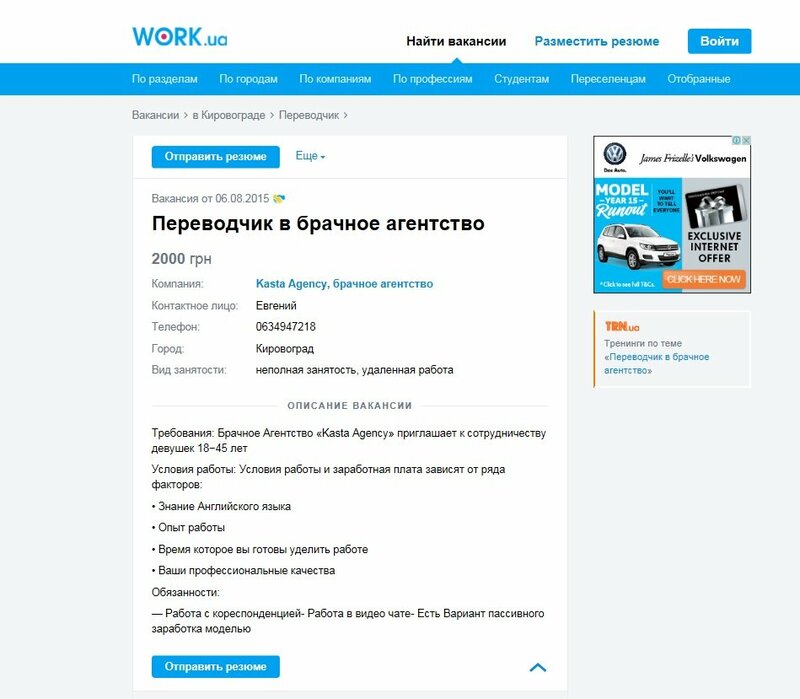 Seeking employees all over Ukraine. Waiting for your call and will be happy to cooperate with you! 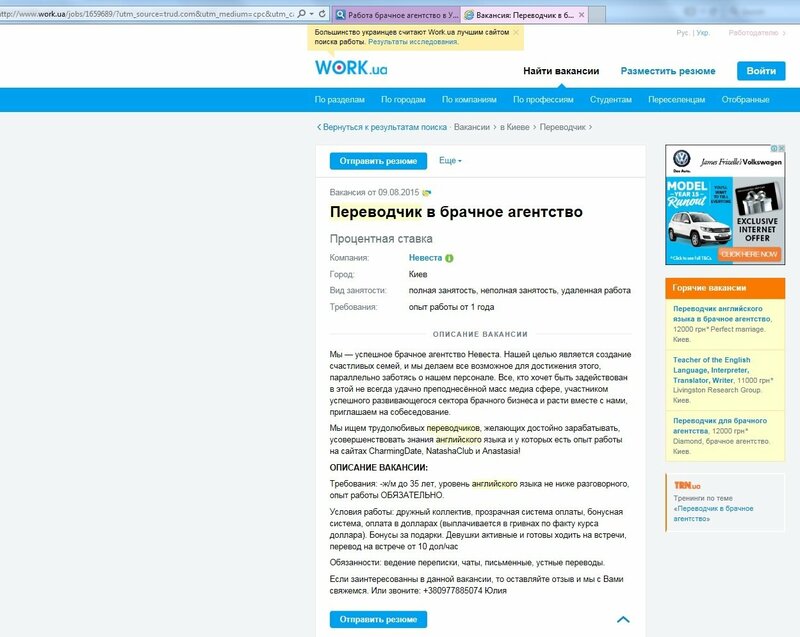 The ad at job portal Work.ua promises bonuses for gifts and “active girls who are ready to go to meetings”, where translators will earn “from 10 dollars/hour”. Remember, all of those vacancies are from job sites — not ads offering a service. People answering these ads are seeking to get income, not to find a partner for a relationship. For both of these types the correspondence and chats may be done by translators-substitutes, who are required by their job description to have a “developed fantasy” and “creativity”, coupled with the ability to “make interested in chat”. Some girls who do their own typing earn percentage of what you pay to the PPL dating site. Which one would you prefer, the one who makes money by talking to you, or the one who is replaced by a substitute? In the country where every young woman over 18 has a mobile phone and free Wi-Fi is available, and where knowledge of this scheme is common, I cannot imagine a woman who daily communicates with her “translator” in order to convey messages for her beloved, and then eagerly awaits for the translator to contact her back to let her know what you answered to her love chats (because she is totally unable to use Google Translate after learning English at school for 6 years). Can you? What do you think makes more sense? What we read in job ads (“corresponding from the name of our female clients”) or the elaborate communication/translation scheme that college-educated girls with simple access to Internet on their mobiles for some reason use, despite its apparent inconvenience? 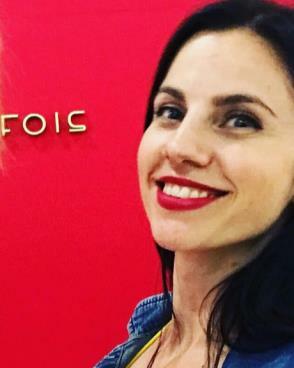 If you were appalled by the deception of translators-substitutes, do you really want to marry and have kids with a woman who signed up for a passive income stream from gifts, sent by unknown to her suitors, hoping she may be getting free meals and shopping sprees (plus $10/hour for attending meetings with hopeful grooms)? 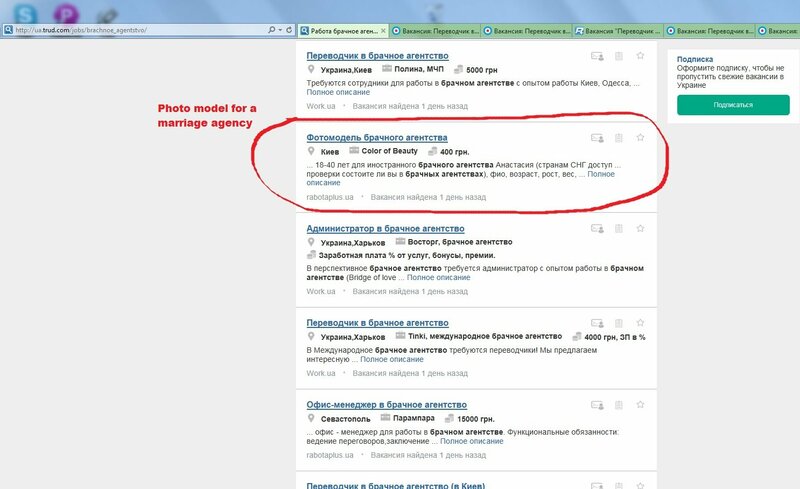 For girls wanting some “cash for nothing” (posing as a “photo model” for a PPL marriage agency), it’s designed in the way that people located in Ukraine and Russia cannot view the site, assure job ads on Trud.com. In other words, don’t be scared that someone you know will see and recognize you there. I have noticed that the number of vacancies listed for “marriage agency work” has increased since April 2015, while descriptions of job responsibilities became more vague. Some ads insist that they have “real women who want to marry foreigners”, for whom translators are needed to “help them get married”. In other words, please write letters and chat with men on behalf of those poor ladies, they cannot do it themselves, and then you will also earn money for “synchronized” translations during visits of hopeful grooms. 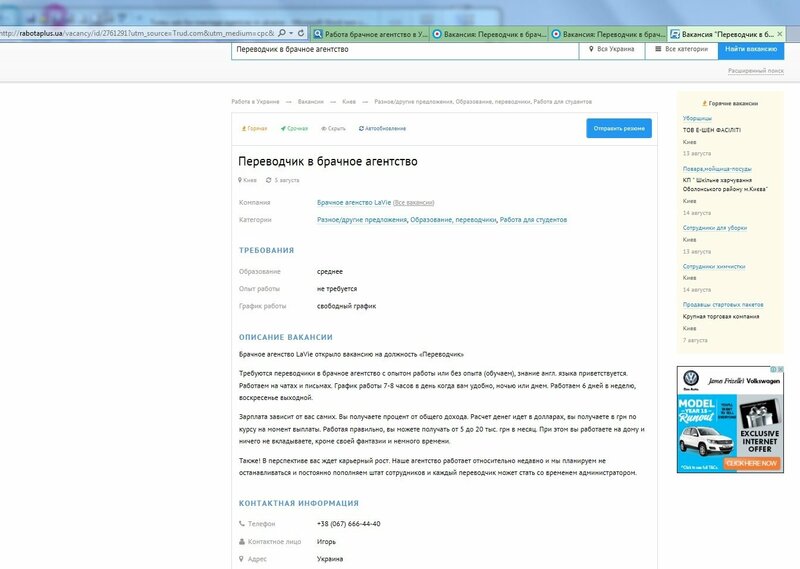 Other ads have notes in job listings advertising for translators that registering as a client is optional. Knowing from the ads for “photo models” that they earn $10/hour during men’s visits by simply showing up for the date (in the country where salaries of government workers such as medical doctors or teachers are $200-300/month for an 8-hour working day Monday to Friday), it’s a comforting thought. Dating through pay-per-letter websites, anyone? 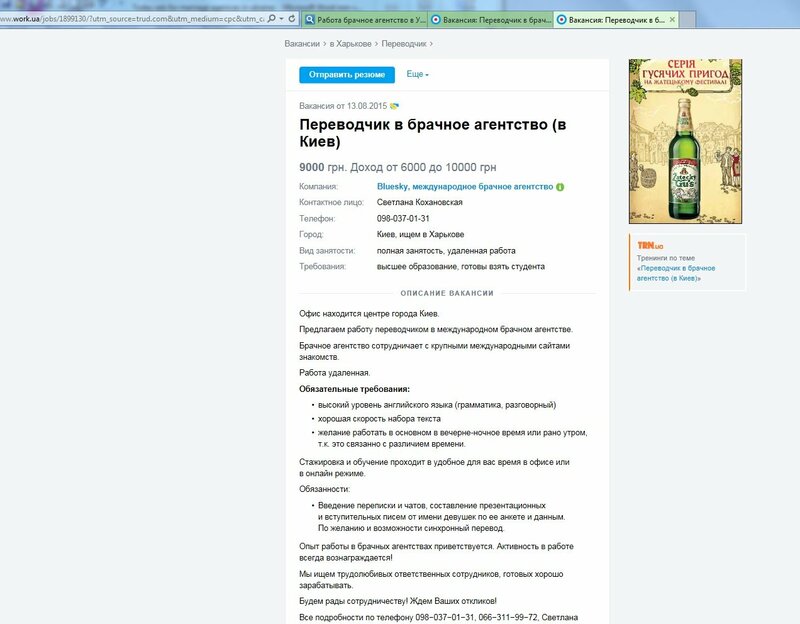 According to Vesti, marriage agencies earn on gullible foreigners up to $10,000/month. Kiev police is aware of these schemes, and already made some arrests. The deputy chief of the department of cyber crimes in Kiev’s police Timofej Kovalishen told reporters about the case where a man organized a fake communication scheme using data of 5 girls. 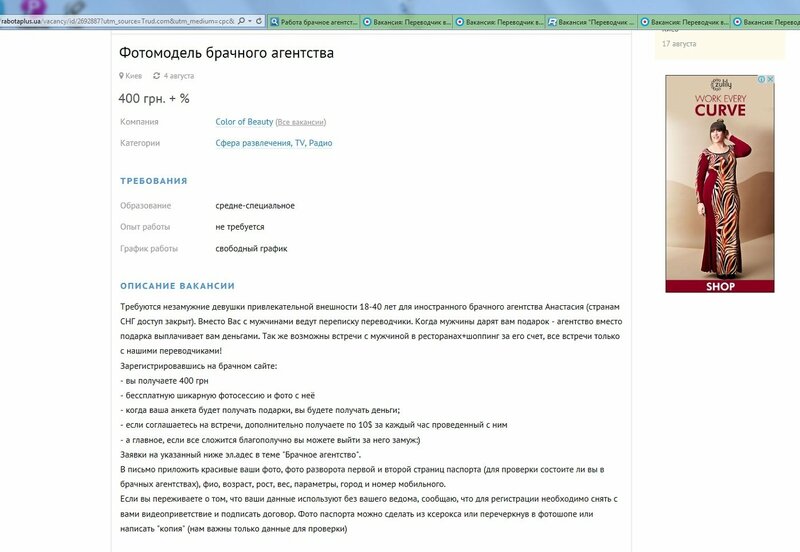 He paid 100-150 hryvnia (USD $4.50-6.75) to them to get their data, took photos, and placed profiles on the site. Other people were corresponding instead of them, getting paid for that. The scheme fell over when a foreign groom arrived to Kiev and realized he was scammed, and filed a complaint with the police department. 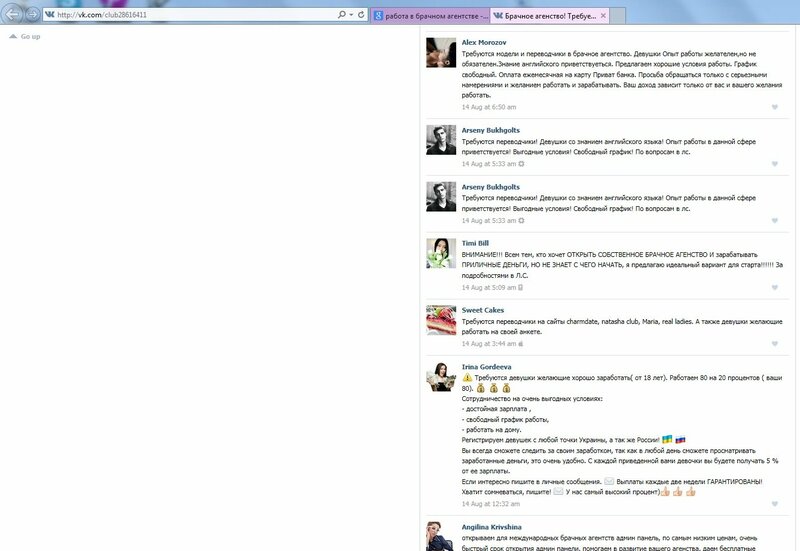 Report on deception by Kiev’s marriage agencies by Vesti (click to enlarge). The reporter received the password to the girl’s profile and was told to switch off the camera on her PC, because if someone (administration of the PPL site or a foreign groom) noticed that she was not the girl in the photos, the profile would be immediately deleted. The journalist was told that her mobile phone would be listed in the profile of the “girl”, because the security of the pay-per-letter site might call her and ask who she had been corresponding with in the last weeks and about what. “This is how they try to catch people like us. 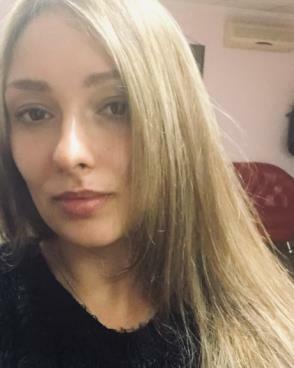 If you are asked whether you are being paid by the agency, you should say, “No!” You are Nastya [short for Anastasia], and you want to find a husband. As soon as they find out that I pay you, good bye. 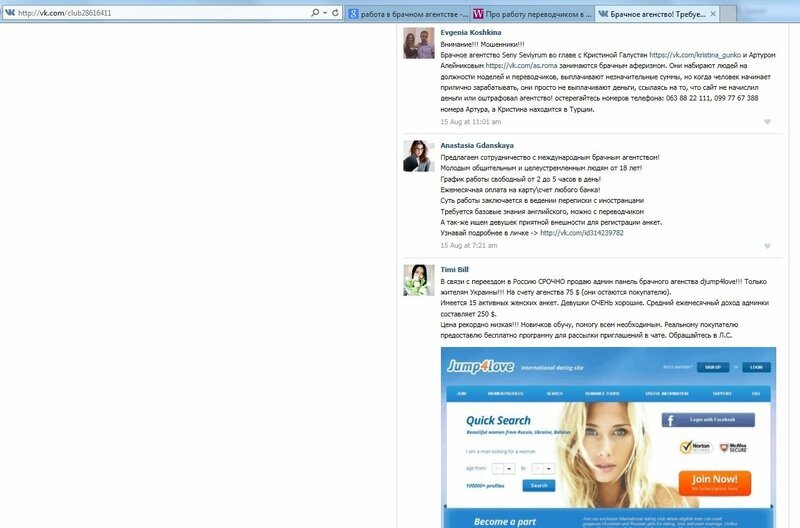 They will delete the profile,” instructed Yulia, the administrator of the marriage agency. 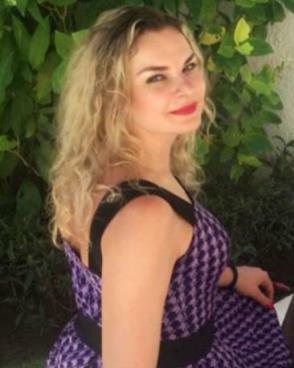 The marriage agency instructor insisted that foreign grooms were “inadequate” and deserved such treatment: “It may get to total absurdity — they fly in, get 30-40 girls, and do a casting. He is sitting there like a prince, and the girls have to whirl around, demonstrate themselves in all their beauty”. 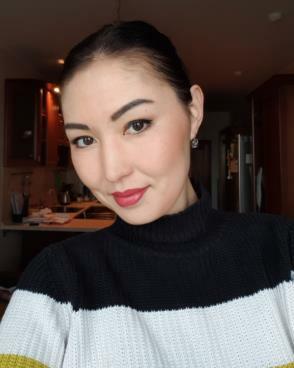 Instructor Yulia said that if a man tried to send the undercover journalist his contact details, she should respond that she (the “girl”) is concerned about her safety, and it is more convenient to correspond through the site. 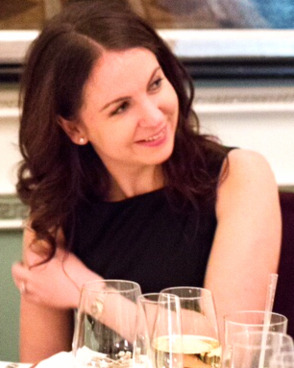 “We need to earn money on him, not to start a romance”, instructed Yulia. 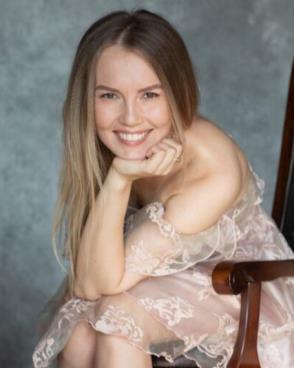 The reporter included in her story passages from letters sent to her by foreign men, who thought they were talking to 29-year-old Anastasia in the photos. Steve from Australia, Rick and Joe from the USA, and Jacob from UK. Maybe, it was you writing these lines? 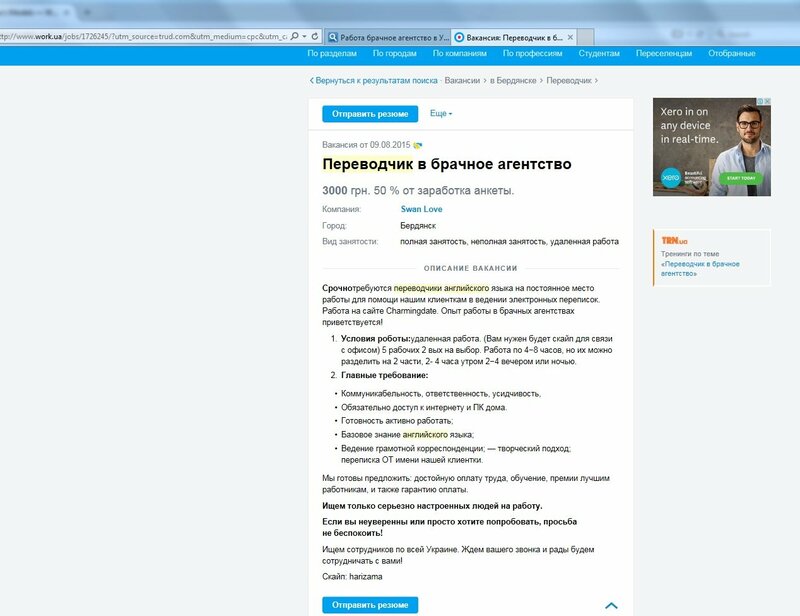 Russian social networking site VKontakte lists ads offering jobs in marriage agencies as “translators” and “models” daily, as well as warnings about operators who scam their “honest” employees out of earnings by making them work for free, and never paying the high percentages from sales that they were promised. I am feeling so horrible for those poor substitutes who spent hundreds of hours chatting with foreign men and didn’t get paid… Not. I do not include translations this time, but you can type the address in your browser and use Google Translate to read the contents of the posts. To me, it’s no longer surprising to read things like this, what is amusing is that there are obviously still some men who keep this whole machine going by paying for communication. The whole thing starts sounding more like a joke, Comedy Central style. 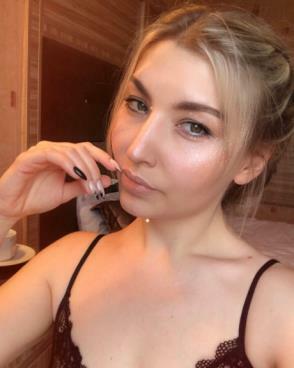 In fact, the only place to be sure that you are communicating with a real human being who is interested in you, is on transparent “membership not PPL” dating sites, which allow free sharing of contact information, and do not charge per letter. 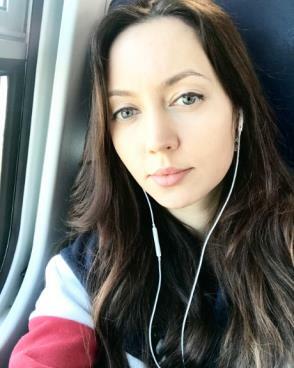 As Russian and Ukrainian women say themselves, unless you quickly move to Skype, where you can talk for free and see the other person, it’s a waste of time, and in case of PPL, money. 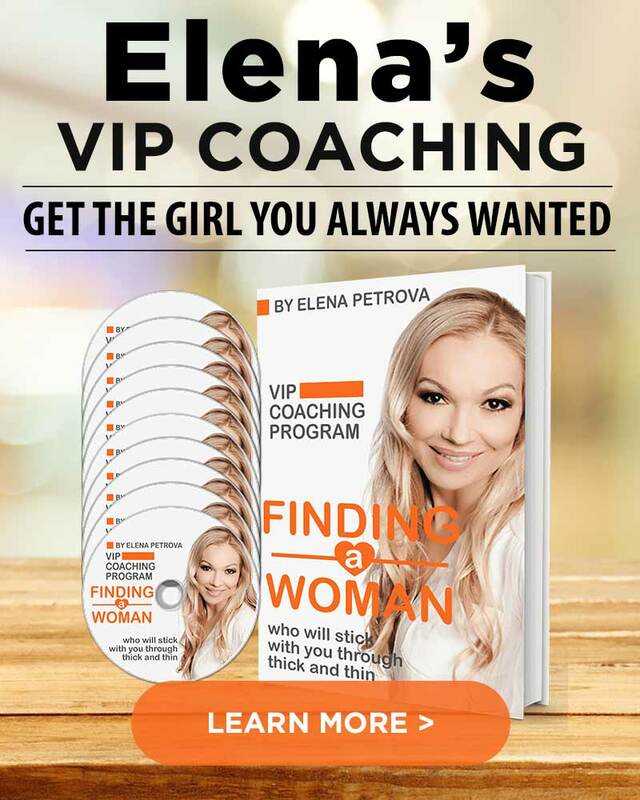 Elena Petrova is the former “Russian mail order bride” who decided to make it transparent to the world, what international marriage agencies are up to. Nowadays there is lot of scam in the Internet, but sometimes it’s difficult to recognize it. Thanks for usefull information. There are some patterns that help detect scammers. I am not particularly worried – personally – of those. Human imagination to earn money from other candid individuals is an ancient art. As they say in Russia : “if you got owned, you deserved it, idiot”. What is more worrying is that decent sites as EM get infiltrated by scammers. It is good that EM performs random verification of new members, in addition to the paying service to verify a member. 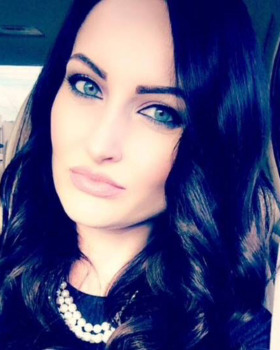 Scammers try to get to ALL sites, including majors like EHarmony. But we do review very thoroughly all profiles before approving, talk to women personally, and maintain checks throughout. 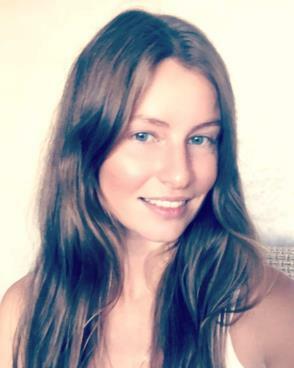 What is more important, we offer transparency in international dating – you are 100% guaranteed there is no substitute on the other end earning commissions from your communication on EM. I shall note that eH and EM have different operating models. As far as I can tell, eH relies on a lot of technology (including artificial intelligence) to detect scammers as well as for matching members. Very good read. Glad I know what to look out for in terms of scammers. Shame that they lead people on like that. Действительно, сейчас очень много людей, которые ради своей прибыли готовы идти на обман, к сожалению это действительно так. Такая проблема процветает не только на Украине, а и во многих странах. Спасибо что помогаете распознавать таких не честных людей. Работа вашего сайта меня радует все больше и больше. It’s true, the PPL dating sites and Ukrainian “marriage agencies” don’t care about foreign guys, the money and time they are losing. The attitude, “If a man is so stupid to fall for a scam, it’s his problem”, is typical not only for dating fraud against foreigners. There are scams in dating against women, which are also not investigated by authorities in most cases. This article ruined my day. Actually, thank you for writing it. I was on three PPL sites for over a year, and all the women always acted the same, as you described in your article. The education has been very expensive, but thank you for helping me learn the lesson. 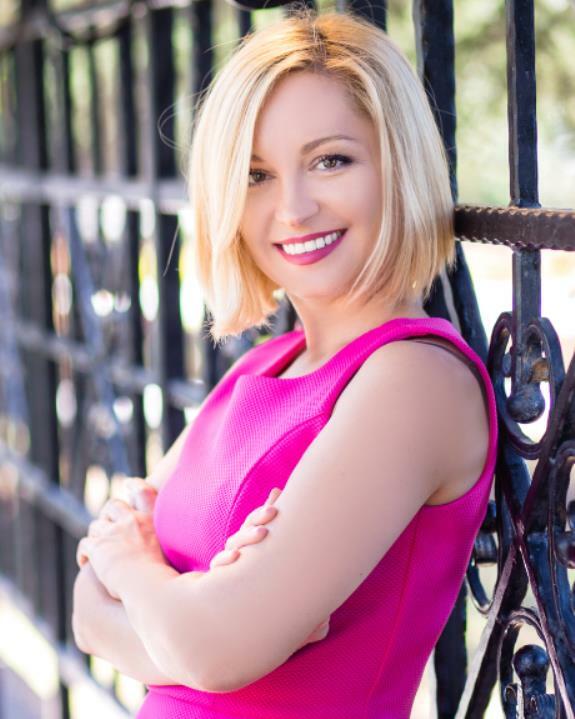 Also, apart from the women on your site, your articles are a great source of knowledge about international dating, international customs, relationships, and day-to-day details of other counties. Your site is a valuable resource to me and my worldview education. Спасибо! 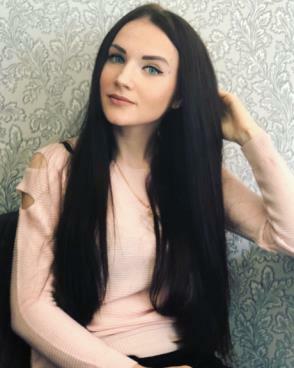 Check this article on which Russian dating sites are the best.